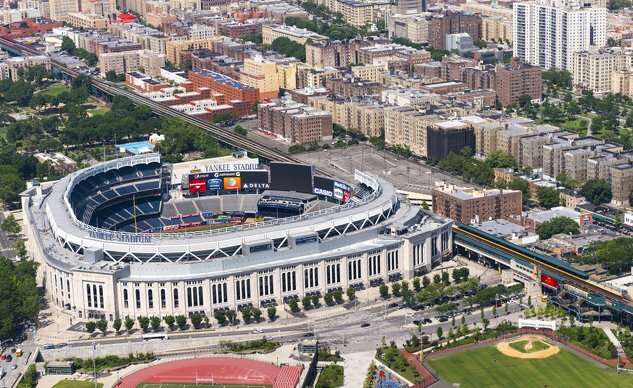 Baseball slugger Giancarlo Stanton is headed to Yankee Stadium, and it looks like the Motor Company might be joining him in the Bronx as Harley-Davidson has filed for two trademark applications to use the New York City borough as the name for a new motorcycle. The trademark applications, filed Dec. 8 with the U.S. Patent and Trademark Office, are for the names “Bronx” and “Harley-Davidson Bronx.” Both applications state the names are intended for use on “motorcycles and structural parts therefor,” indicating the Bronx is intended for a new model and not for any number of accessories or merchandise. The trademark filings do not provide any information on this future model, or when we might see it, but we can make some inferences from the name. The Bronx conjures images of a tough, urban environment, which suggests the motorcycle will be a muscular-looking cruiser rather than a tourer. A bobber with fat tires and chopped fenders comes to mind, likely using Harley-Davidson’s new Softail chassis. Of course, this is all conjecture at this point. Trademark applications, while telling, are not definitive, and still subject to vetting by the USPTO. And though we don’t know exactly when we’ll see the Harley Bronx, the trademarking process does provide a rough timeframe, with an applicant required to use the name within 36 months of the USPTO giving its approval or else lose the name. We know Harley-Davidson has stated an ambitious goal of producing 100 new models over the next decade, and it looks like the Bronx will be one of them. When asked about the name “Bronx,” a Harley-Davidson spokesperson says the company is unable to comment on future products.